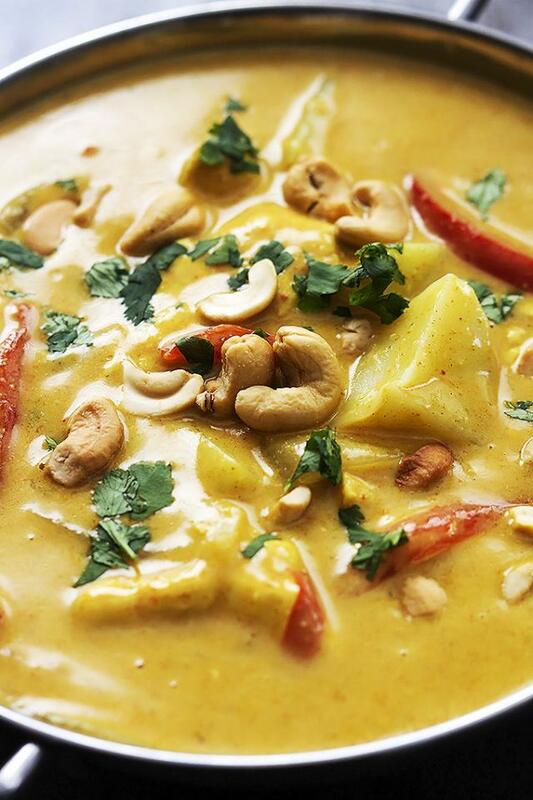 In a medium bowl whisk together all sauce ingredients (not the cashews, cilantro, or rice). Pour mixture into slow cooker and stir to coat chicken and veggies. Cover and cook on high for 2-3 hours or on low 4-5 hours. *If you have red curry paste on hand, I like to swap out 1 tablespoon of curry powder for 1 tablespoon of the red paste. You can also add up to 1 tablespoon of garlic powder for an extra flavor boost. *If you prefer a little bit thicker curry (like I do) whisk together 3 tablespoons cold water and 2 tablespoons corn starch. Stir into crockpot about 30-45 minutes before serving and cook on high until ready to serve.